Anti-imperialism in political science and international relations is a term used in a variety of contexts, usually by nationalist movements who want to secede from a larger polity (usually in the form of an empire, but also in a multi-ethnic sovereign state) or as a specific theory opposed to capitalism in Marxist–Leninist discourse, derived from Vladimir Lenin's work Imperialism, the Highest Stage of Capitalism. A less common usage is by supporters of a non-interventionist foreign policy. People who categorize themselves as anti-imperialists often state that they are opposed to colonialism, colonial empires, hegemony, imperialism and the territorial expansion of a country beyond its established borders. The phrase gained a wide currency after the Second World War and at the onset of the Cold War as political movements in colonies of European powers promoted national sovereignty. Some anti-imperialist groups who opposed the United States supported the power of the Soviet Union, such as in Guevarism, while in Maoism this was criticized as social imperialism. In the late 1870s, the term "imperialism" was introduced to the English language by opponents of the aggressively imperial policies of British Prime Minister Benjamin Disraeli (1874–1880). It was shortly appropriated by supporters of "imperialism" such as Joseph Chamberlain. For some, imperialism designated a policy of idealism and philanthropy; others alleged that it was characterized by political self-interest; and a growing number associated it with capitalist greed. John A. Hobson and Vladimir Lenin added a more theoretical macroeconomic connotation to the term. Many theoreticians on the left have followed either or both in emphasizing the structural or systemic character of "imperialism". Such writers have expanded the time period associated with the term so that it now designates neither a policy, nor a short space of decades in the late 19th century, but a global system extending over a period of centuries, often going back to Christopher Columbus and in some facts to the Crusades. As the application of the term has expanded, its meaning has shifted along five distinct but often parallel axes: the moral, the economic, the systemic, the cultural and the temporal. Those changes reflect—among other shifts in sensibility—a growing unease with the fact of power, specifically Western power. The relationships among capitalism, aristocracy and imperialism have been discussed and analysed by theoreticians, historians, political scientists such as John A. Hobson and Thorstein Veblen, Joseph Schumpeter and Norman Angell. Those intellectuals produced much of their works about imperialism before the World War I (1914–1918), yet their combined work informed the study of the impact of imperialism upon Europe and contributed to the political and ideologic reflections on the rise of the military–industrial complex in the United States from the 1950s onwards. John A. Hobson strongly influenced the anti-imperialism of both Marxists and liberals, worldwide through his 1902 book on Imperialism. He argued that the "taproot of imperialism" is not in nationalist pride, but in Capitalism. As a form of economic organization, imperialism is unnecessary and immoral, the result of the mis-distribution of wealth in a capitalist society. That created an irresistible desire to extend the national markets into foreign lands, in search of profits greater than those available in the Mother Country. In the capitalist economy, rich capitalists received a disproportionately higher income than did the working class. If the owners invested their incomes to their factories, the greatly increased productive capacity would exceed the growth in demand for the products and services of said factories. 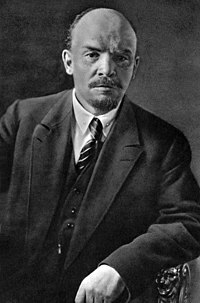 Lenin adopted Hobson's ideas to argue that capitalism was doomed and would eventually be replaced by socialism, the sooner the better. On the positive side, Hobson argued that domestic social reforms could cure the international disease of imperialism by removing its economic foundation. Hobson theorized that state intervention through taxation could boost broader consumption, create wealth and encourage a peaceful multilateral world order. Conversely, should the state not intervene, rentiers (people who earn income from property or securities) would generate socially negative wealth that fostered imperialism and protectionism. As a self-conscious political movement, anti-imperialism originated in Europe in the late 19th and early 20th centuries in opposition to the growing European colonial empires and the United States control of the Philippines after 1898. However, it reached its highest level of popular support in the colonies themselves, where it formed the basis for a wide variety of national liberation movements during the mid-20th century and later. These movements, and their anti-imperialist ideas, were instrumental in the decolonization process of the 1950s and 1960s, which saw most European colonies in Asia and Africa achieving their independence. We cordially invite the cooperation of all men and women who remain loyal to the Declaration of Independence and the Constitution of the United States. Fred Harrington states that "the anti-imperialist's did not oppose expansion because of commercial, religious, constitutional, or humanitarian reasons but instead because they thought that an imperialist policy ran counter to the political doctrines of the Declaration of Independence, Washington's Farewell Address, and Lincoln's Gettysburg Address". Hobson's ...hatred of moneyed men and monopolies, his loathing of secret compacts and public bluster, fused all existing indictments of imperialism into one coherent system....His ideas influenced German nationalist opponents of the British Empire as well as French Anglophobes and Marxists; they colored the thoughts of American liberals and isolationist critics of colonialism. In days to come they were to contribute to American distrust of Western Europe and of the British Empire. Hobson helped make the British averse to the exercise of colonial rule; he provided indigenous nationalists in Asia and Africa with the ammunition to resist rule from Europe. The American rejection of the League of Nations in 1919 was accompanied with a sharp American reaction against European imperialism. American textbooks denounced imperialism as a major cause of the World War. The uglier aspects of British colonial rule were emphasized, recalling the long-standing anti-British sentiments in the United States. British anti-imperialism emerged in the 1890s, especially in the Liberal Party. For over a century, back to the days of Adam Smith in 1776, economists had been hostile to imperialism on the grounds that it is a violation of the principles of free trade; they never formed a popular movement. Indeed imperialism seems to have been generally popular before the 1890s. The key impetus around 1900 came from public disgust with the British failures and atrocities connected with the Second Boer War (1899–1902). The war was fought against the Afrikaners, who were Dutch immigrants who had built new nations in South Africa. Opposition to the Second Boer War was modest when the war began and was always less widespread than support for it, let alone the prevailing indifference. However, influential groups formed immediately and ineffectually against the war, including the South African Conciliation Committee and W. T. Stead's Stop the War Committee. Much of the opposition in Britain came from the Liberal Party. Intellectuals and activists Britain based in the socialist, labour and Fabian movements generally oppose imperialism and John A. Hobson, a Liberal, took many of his ideas from their writings. After the Boer war, opponents of imperialism turn their attention to the British colonies in Africa and Asia. By the 1920s, the government was sponsoring large-scale exhibits promoting imperialism, notably the 1924 British Empire Exhibition in London and the 1938 Glasgow Empire Exhibition. Some intellectuals use the opportunity to criticize imperialism as a policy. Moderately active anti-imperial movements emerged in Canada and Australia. The French Canadians were hostile to the British expansion while in Australia it was the Irish Catholics who were opposed. French Canadians argue that Canadian nationalism was the proper and true goal and it sometimes conflicted with loyalty to the British Empire. The French Canadians would fight for Canada but would not fight for the Empire. From the 1890s to 1915, in province after province there were attacks by Anglophones to restrict or shut down French language public schools and French Canadians were bitterly alienated. Protestant Canadians, typically of British descent, generally supported British imperialism enthusiastically. They sent thousands of volunteers to fight alongside the British army against the Boers and in the process identified themselves even more strongly with the British Empire. A little opposition also came from some English immigrants such as the intellectual leader Goldwin Smith. In Canada, the Irish Catholics were fighting the French Canadians for control of the Catholic Church, so the Irish generally supported the pro-British position. Anti-imperialism also grew rapidly in India and formed a core element of the demand by Congress for independence. Much of the impetus came from colonial students studying at Oxford and Cambridge, such as Mahatma Gandhi. In the mid-19th century, Karl Marx mentioned imperialism to be part of the prehistory of the capitalist mode of production in Das Kapital (1867–1894). Much more important was Vladimir Lenin, who defined imperialism as "the highest stage of capitalism", the economic stage in which monopoly finance capital becomes the dominant application of capital. As such, said financial and economic circumstances impelled national governments and private business corporations to worldwide competition for control of natural resources and human labour by means of colonialism. The Leninist views of imperialism and related theories, such as dependency theory, address the economic dominance and exploitation of a country, rather than the military and the political dominance of a people, their country and its natural resources. Hence, the primary purpose of imperialism is economic exploitation, rather than mere control of either a country or of a region. The Marxist and the Leninist denotation thus differs from the usual political science denotation of imperialism as the direct control (intervention, occupation and rule) characteristic of colonial and neo-colonial empires as used in the realm of international relations. Industrial capital as the dominant form of capital has been replaced by finance capital, with the industrial capitalists increasingly reliant on capital provided by monopolistic financial institutions. "Again and again, the final word in the development of banking is monopoly". The export of the aforementioned finance capital is emphasized over the export of goods. The economic division of the world by multinational cartels. Generally, the relationship among Marxists and radical, left-wing organisations who are anti-war, often involves persuading such political activists to progress from pacifism to anti-imperialism—that is, to progress from the opposition of war, in general, to the condemnation of the capitalist economic system, in particular. In the 20th century, the Soviet Union represented themselves as the foremost enemy of imperialism and thus politically and materially supported Third World revolutionary organisations who fought for national independence. The Soviet Union sent military advisors to Ethiopia, Angola, Egypt and Afghanistan. However, anarchists characterized Soviet foreign policy as imperialism and cited it as evidence that the philosophy of Marxism would not resolve and eliminate imperialism. Mao Zedong developed the theory that the Soviet Union was a social imperialist nation, a socialist people with tendencies to imperialism, an important aspect of Maoist analysis of the history of the Soviet Union. Contemporarily, the term "anti-imperialism" is most commonly applied by Marxists and political organisations of like ideologic bent who propose anti-capitalism, present a class analysis of society and the like. Right-wing nationalists and religious fundamentalist movements that have emerged in reaction to alleged imperialism might also fall within this category. For example, Khomeinism historically derived much of its popularity from its appeal to widespread anger at American intervention or influence in Iran and the Middle East. The Indian Jamaat-e-Islami Hind launched a ten-day Nationwide campaign titled Anti-Imperialism Campaign in December 2009. In Europe, examples of right-wing anti-imperialism include the Republican Party of Armenia and the Serbian Radical Party. Antonio Negri and Michael Hardt assert that traditional anti-imperialism is no longer relevant. In the book Empire, Negri and Hardt argue that imperialism is no longer the practice or domain of any one nation or state. Rather, they claim, the "Empire" is a conglomeration of all states, nations, corporations, media, popular and intellectual culture and so forth; and thus, traditional anti-imperialist methods and strategies can no longer be applied against them. ^ Richard Koebner and Helmut Schmidt, Imperialism: The Story and Significance of a Political Word, 1840–1960 (2010). ^ Hans-Ulrich Wehler (1969). Bismarck und der Imperialismus / Bismarck and Imperialism. Review of Politics, CUP. Kiepensheuer & Witsch, Cologne. JSTOR 1406534. ^ David Long, Towards a new liberal internationalism: the international theory of JA Hobson (1996). ^ "Platform of the American Antilmperialist League, 1899". Fordham University. Retrieved 2 February 2013. ^ Cornell University (1942). The Impact of the war on America: six lectures by members of the faculty of Cornell university. Cornell University Press. p. 50. ^ Bernard Porter, Critics of Empire: British Radical Attitudes to Colonialism in Africa 1895-1914 (1968). ^ Sarah Britton, "‘Come and See the Empire by the All Red Route!’: Anti-Imperialism and Exhibitions in Interwar Britain." History Workshop Journal 69#1 (2010). ^ C. N. Connolly, "Class, birthplace, loyalty: Australian attitudes to the Boer War." Australian Historical Studies 18.71 (1978): 210-232. ^ Carl Berger, ed. Imperialism and Nationalism, 1884-1914: a conflict in Canadian thought (1969). ^ Brock Millman, Polarity, Patriotism, and Dissent in Great War Canada, 1914-1919 (University of Toronto Press, 2016). ^ Gordon L. Heath, War with a Silver Lining: Canadian Protestant Churches and the South African War, 1899-1902 (McGill-Queen's Press-MQUP, 2009). ^ R. Craig Brown, "Goldwin Smith and Anti‐imperialism." Canadian Historical Review 43.2 (1962): 93-105. ^ Mark G. McGowan, "The De-Greening of the Irish: Toronto’s Irish‑Catholic Press, Imperialism, and the Forging of a New Identity, 1887-1914." Historical Papers/Communications historiques 24.1 (1989): 118-145. ^ "Imperialism", The Penguin Dictionary of International Relations (1998), by Graham Evans and Jeffrey Newnham. p. 244. ^ "Colonialism", The Penguin Dictionary of International Relations (1998) Graham Evans and Jeffrey Newnham, p. 79. ^ "Imperialism", The Penguin Dictionary of International Relations (1998) Graham Evans and Jeffrey Newnham, p. 79. ^ "Lenin: Imperialism, the Highest Stage of Capitalism". Retrieved 2011-02-13. ^ Battling Western Imperialism: Mao, Stalin, and the United States (1997), by Michael M. Sheng. p.00. ^ Marxist Theories of Imperialism: A Critical Survey (1990), by Anthony Brewer. p. 293. ^ Che Guevara: Message to the Tricontinental Spring of 1967. Heywood, C. 2004. Political Theory: An Introduction New York: Palgrave MacMillan. Harrington, Fred H. "The Anti-Imperialist Movement in the United States, 1898-1900", Mississippi Valley Historical Review, Vol. 22, No. 2 (Sep., 1935), pp. 211–230 in JSTOR. Proudman, Mark F.. "Words for Scholars: The Semantics of 'Imperialism'". Journal of the Historical Society, September 2008, Vol. 8 Issue 3, p395-433. Ali, Tariq et al. Anti-Imperialism: A Guide for the Movement ISBN 1-898876-96-7. Boittin, Jennifer Anne. Colonial Metropolis: The Urban Grounds of Anti-Imperialism and Feminism in Interwar Paris (2010). Brendon, Piers. "A Moral Audit of the British Empire." History Today, (Oct 2007), Vol. 57 Issue 10, pp 44–47, online at EBSCO. Brendon, Piers. The Decline and Fall of the British Empire, 1781-1997 (2008) excerpt and text search. Cain, P. J. and A.G. Hopkins. British Imperialism, 1688-2000 (2nd ed. 2001), 739pp, detailed economic history that presents the new "gentlemanly capitalists" thesis excerpt and text search. Castro, Daniel, Walter D.Mignolo, and Irene Silverblatt. Another Face of Empire: Bartolomé de Las Casas, Indigenous Rights, and Ecclesiastical Imperialism (2007) excerpt and text search, Spanish colonies. Cullinane, Michael Patrick. Liberty and American Anti-Imperialism, 1898-1909. New York: Palgrave Macmillan, 2012. Ferguson, Niall. Empire: The Rise and Demise of the British World Order and the Lessons for Global Power (2002), excerpt and text search. Friedman, Jeremy, and Peter Rutland. "Anti-imperialism: The Leninist Legacy and the Fate of World Revolution." Slavic Review 76.3 (2017): 591-599. Hardt, Michael, and Antonio Negri. Empire (2001), influential statement from the left. Herman, Arthur. Gandhi & Churchill: The Epic Rivalry that Destroyed an Empire and Forged Our Age (2009) [excerpt and text search]. Hobson, J.A. Imperialism: A Study (1905) except and text search 2010 edition. Karsh, Efraim. Islamic Imperialism: A History (2007) excerpt and text search. Olson, James S. et al., eds. Historical Dictionary of European Imperialism (1991) online edition. Owen, Nicholas. The British Left and India: Metropolitan Anti-Imperialism, 1885-1947 (2008) excerpt and text search. Polsgrove, Carol. Ending British Rule in Africa: Writers in a Common Cause (2009). Porter, Bernard. The Lion's Share: A History of British Imperialism 1850-2011 (4th ed. 2012), Wide-ranging general history; strong on anti-imperialism. Sagromoso, Domitilla, James Gow, and Rachel Kerr. Russian Imperialism Revisited: Neo-Empire, State Interests and Hegemonic Power (2010). Tompkins, E. Berkeley, ed. Anti-Imperialism in the United States: The Great Debate, 1890—1920. (1970) excerpts from primary and secondary sources. Tyrell, Ian and Jay Sexton, eds. Empire's Twin: U.S. anti-imperialism from the founding era to the age of terrorism (2015). Wang, Jianwei. "The Chinese interpretation of the concept of imperialism in the anti-imperialist context of the 1920s.," Journal of Modern Chinese History (2012) 6#2 pp 164–181. The Anti-Imperialists, A Web based guide to American Anti-Imperialism. CWIHP at the Wilson Center for Scholars: Primary Document Collection on Anti-Imperialism in the Cold War. Imperialism: The Highest Stage of Capitalism by V.I. Lenin Full text at marxists.org. How Imperialist 'Aid' Blocks Development in Africa by Thomas Sankara, The Militant, April 13, 2009. Daniel Jakopovich, In the Belly of the Beast: Challenging US Imperialism and the Politics of the Offensive. The M and S Collection at the Library of Congress contains materials on anti-imperialism.